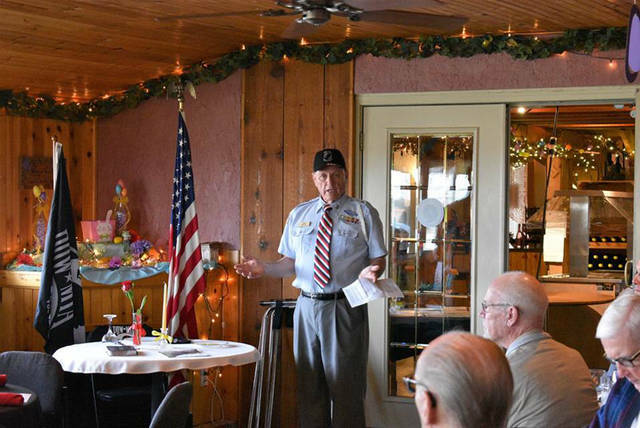 Eldon Solomon, executive director of The Journey Home Veterans Shelter located in Winchester, Indiana, gave an educational communication on veterans. Jack Duncan, a transient resident of the Journey Home, explained how he was homeless in Indianapolis and placed in the Journey Home facility. He expressed his gratitude for the kindness and helpfulness of the residents of Winchester and its surrounding communities. Army veteran Dave Miller, representing the Versailles VFW Post No. 3849, conducted a memorial ceremony of the missing man table, also known as a fallen comrade table. The table served as a focal point of ceremonial remembrance to honor the fallen, missing or imprisoned military service members. 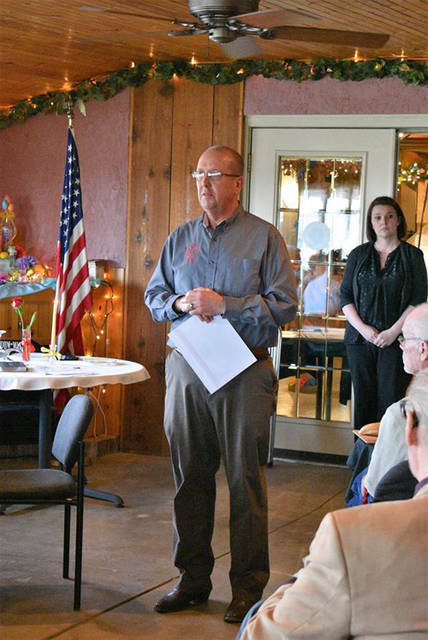 VERSAILLES – The Winery at Versailles recently hosted a dinner to honor those who serve and have served the country, as well as promote public awareness of veterans. 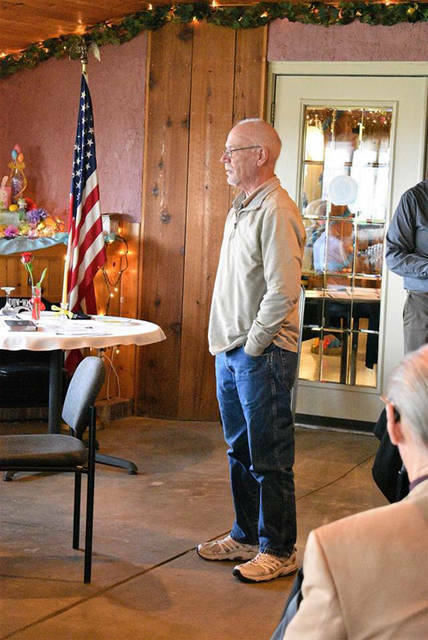 “The Heroes Dinner” included a five-course meal paired with a glass of wine with each course, a guest speaker from the Journey Home and a testimonial from a Journey Home resident. Also on hand for the event were the proprietors of the Winery, veteran Mike and Carol Williams, and veteran Dave Miller with his wife Kathy. Winery Events Coordinator Carlena Sneed welcomed those in attendance and provided introductions throughout the evening. Army veteran Dave Miller, representing the Versailles VFW Post No. 3849, conducted a memorial ceremony of the missing man table, also known as a fallen comrade table. The table served as a focal point of ceremonial remembrance to honor the fallen, missing or imprisoned military service members. Into the second course, Eldon Solomon, executive director of The Journey Home Veterans Shelter located in Winchester, Indiana, gave an educational communication on veterans. Statistically, 22 veterans commit suicide every day and nationally 24.8 percent of homeless people are veterans (Ohio average is 21 percent). Located in Randolph County, the Veterans Shelter is a 12-bed transitional facility with a 24 hour a day, seven day a week kitchen that is open for homeless veterans to prepare their meals and share meals. Last year the facility successfully took 49 veterans off the streets and placed 33 into homes. The shelter’s mission is toward ending veteran homelessness and begins with transitional house for a period of three to six months. Sometimes these veterans are found in homeless camps or living under bridges then they are transitioned into permanent housing. The Journey Home also works on developing or improving the veterans’ employment skills to sustain independence and opportunities, engages the VA, state and local non-VA resources and benefits and all these services are provided at no cost to the veteran. Four years ago The Journey Home Veterans Shelter entered a relationship with the VA and a bed per diem contract with VA Northern Indiana Health Care Systems, which took much of the economic pressure off the facility and allowed it to broaden its services. But the success of TJH is primarily attributed to the love, compassion and support given by the local community donors. “People ask me a lot, ‘What causes homeless among our veterans, those who served our country?’ I can’t tell you a definite answer, but I tell my staff every individual’s journey into homelessness is unique and every individual’s journey out of homelessness is just as unique and difficult,” Solomon, said. With personalized programs and services that support veterans to recovery, these veterans feel loved and learn what it is to interact with others. They also witness the goodness of others through the donations of food, clothing, furniture, etc. Patience, with accountability provides the veteran stable support. Mistakes are used as stepping stones into the development of new skills, hope, confidence and self-respect. Jack Duncan, a transient resident of TJH, agreed to speak. He explained how he was homeless in Indianapolis and placed in the Journey Home facility through the VA. He expressed his gratitude for the kindness and helpfulness of the residents of Winchester and its surrounding communities. For Mike and Carol Williams, helping veterans and The Journey Home is a program close to their hearts having a father and other family members who have served as well as a grandson who is actively serving. 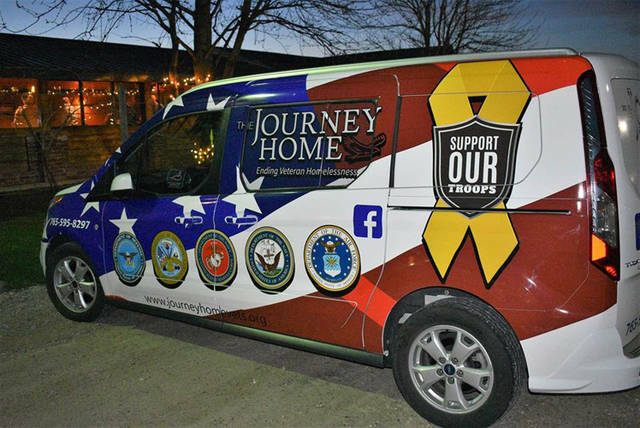 For those interested in learning more about the Veterans Transitional facility, visit The Journey Home on Facebook, its website at www.journeyhomevets.org or take a drive to 325 S. Oak St., Suite 101, Winchester, Indiana. Everyone is welcome to visit and as Solomon aforementioned, individuals can visit an American hero, some of whom have been awarded purple hearts, silver and bronze stars.